It has been a tough winter for many of us in the continental climate areas – New York City is no exception. A mutant flu and cold season brought many people down for the count, allergies have been more prevalent this winter for some reason, and less sunlight than normal. I have known many who were taken down hard… I, myself, seemed to be constantly fighting a cold or allergies (I know, it’s weird to have allergies in winter) and finally had to break my rule of avoiding antibiotics when I realized I had developed a sinus infection. And all the while having to travel, running to various appointments, meeting deadlines and everything else we humans have to check off our daily list. It has been a rough December and January for myself, and from what I see on Facebook, it has been even more brutal for others. But in the middle of February – when I felt like I was ready to pass out and sleep for two days straight – I had my spirit recharged by a beautiful woman. It is interesting to think of the idea of women and beauty. There have been countless books, poems, and certainly, advertisements devoted to it; billon dollar companies make their profits from the very idea of it; and every woman has had something thrown at her regarding beauty, and where she lies on that beauty scale, more times than anyone should be subjected to… but all of that has nothing to do with the beauty that I am talking about… the beauty that truly transcends the ills and hardships of life. The beauty I speak of is not so easily found, or bought, or even described. 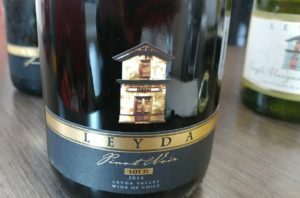 That day in mid-February I was set to have a meeting with the chief winemaker of the innovative Chilean winery Viña Leyda – Viviana Navarrete. Mentally, I felt like I wasn’t in the best shape because I was beyond exhausted but I could not miss this opportunity. 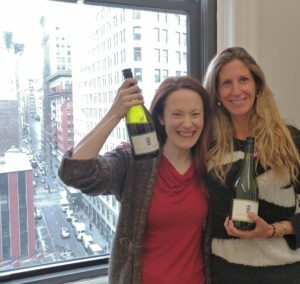 A couple years back, I had the opportunity to hear Viviana speak at the Women in Wine Leadership Symposium and I was taken by her beautiful mind and spirit that were reflected in her wines. Viña Leyda, founded in 1997, takes its name from the coastal town Leyda since it is located in the center of its valley. 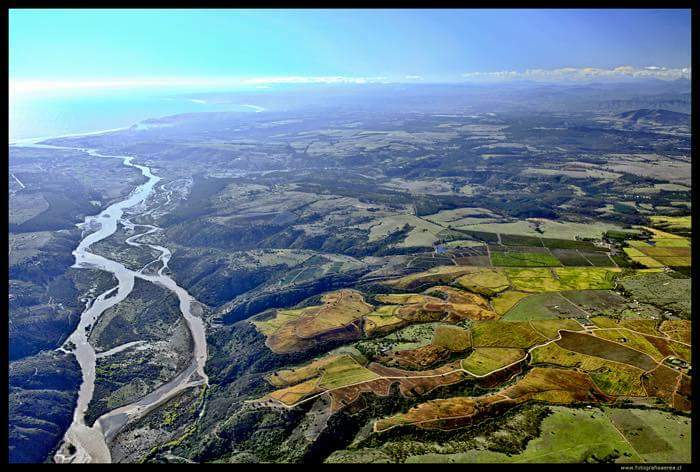 They are truly pioneers of this now much sought after cooler, tiny wine growing area in Chile that includes a total of 4940 acres of vineyards (2000 hectares), one of the closest vineyard areas to the Pacific Ocean in Chile. Viña Leyda not only helped establish the appellation (protected geographic quality area) with the new designation of origin, D.O. Leyda in 2001, but they also invested in infrastructure that would allow water to be brought from the Maipo River using an eight kilometer pipeline that was financed by a combination of themselves, the Chilean government, and a couple other private investors. 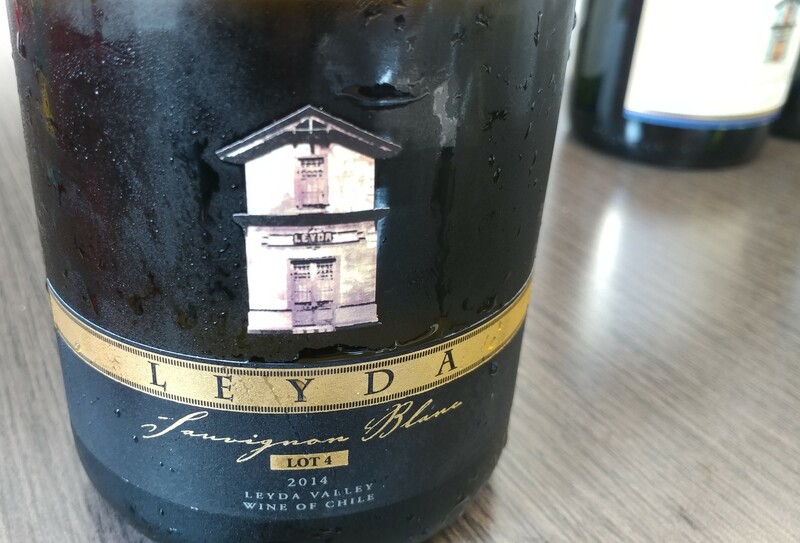 Before that time there was no viticulture in Leyda since it was a dry area (only 250mm a year of rain), but as Viviana Navarrete said, “Despite being pioneers in this area we knew our work wasn’t done”. So they have put a significant investment into studying their soil, increasing the density of vines in their vineyards, decreasing the size of their trellising, canopy management of finding ideal balance for their vines, and working with the “terroir doctor” – Pedro Parra – a terroir specialist that has dug over 2000 pits around the world analyzing (electroconductivity and geo-mapping) a plethora of soils for the best research that will help wine producers match the right plants (variety/clone) with the right plots, as well as the best winemaking techniques to highlight each section of land. Right now Viviana said they have 13 clones of Pinot Noir and Sauvignon Blanc (7 clones for Pinot Noir and 6 clones for Sauvignon Blanc) and they are obsessed with Pinot Noir and its affinity for terroir, as well as work with a tiny amount of Sauvignon Gris, Riesling and Syrah. Both of the times I have seen Viviana, she was generous, nurturing and really empowered those around her. She was one of those women who showed the power that women could have – by giving others wings to soar – and her beauty was reflected by the beauty that she saw in others. Everything else – her intelligence, her experience (11 years as chief winemaker at Viña Leyda), her attention to detail which was displayed while talking about every aspect of each of her wines, was nothing compared to her enormous capacity for compassion that fueled her passion for the Leyda Valley itself. She noted that there were only 10 vineyard owners in Leyda and every single one was driven by producing the best grapes in the vineyards they could get from an area that only gave them low-yielding, tiny grapes because of the cold fog that came in from the Pacific; only quality minded people would want to deal with such a low quantity of fruit. From the minute I met Viviana I felt relieved because it was as if her eyes gave me a warm hug and placed me immediately at ease; after we finished our 90 minute conversation, I felt like I could fly down the street… that is what a beautiful woman does to the world around her. There are so many times when I felt dragged around by life that a beautiful woman was sent to me like an angel… whether it was my next door neighbor when I was a child telling me how much I was loved, the woman on the subway who soothingly placed her hand on my shoulder when I was overwhelmed and crying during my first couple years in New York, or a co-worker telling me that I deserved better when I felt completely rejected and humiliated. These beautiful women seem to be the fabric that holds our society together. Beautiful women come in many outward forms – they can be dressed to the nines or dressed like a nun, they can be conventionally picture perfect or alternative and edgy; but they are always open, honest and have surrendered to the truth that they are only as good as they make the people around them feel… and so they always see the truth of someone who is in need. 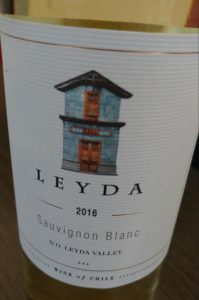 It just seemed fitting when I found out that the drawing on the Viña Leyda labels was of an old train station that used to exist in the town of Leyda; it was common for people to ask the way to the train since Leyda was a town that one used to get from one place to another. Travelers would ask the locals “la ida”, meaning “the way”, which turned into sounding like “leyda” in the local jargon, and so, the town was named after this common saying. It was fitting because when we are lost, beautiful women show us the way… the way into believing in ourselves. –2016 Classic Sauvignon Blanc: Citrus, green mango and dried thyme with a vivid, linear palate. 100% stainless steel tanks at low temperatures. Half of the vinification is macerated and half whole bunch press. The more aromatic clones need maceration because many of the aromatics are in the skin, and they blend it with clones that have a purity of fruit that are whole bunch pressed. 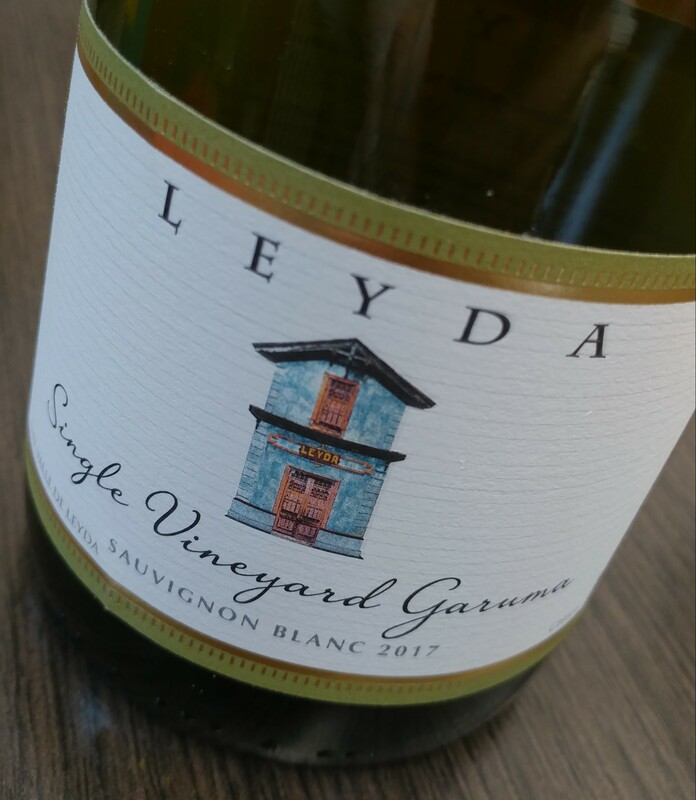 –2017 Sauvignon Blanc, Single Vineyard Garuma: Creamy texture with saline minerality and white flowers with a delicate yet powerful finish. This wine is made from the best Sauvignon Blanc plot that has a cooler micro-climate and is limestone dominant. Clone Davis 1 is used and it is known to give a wine more weight on the body. The winemaking is the same so it is just the selection of this one clone (instead of a few clones) and the expression of this specific vineyard with even lower yields. 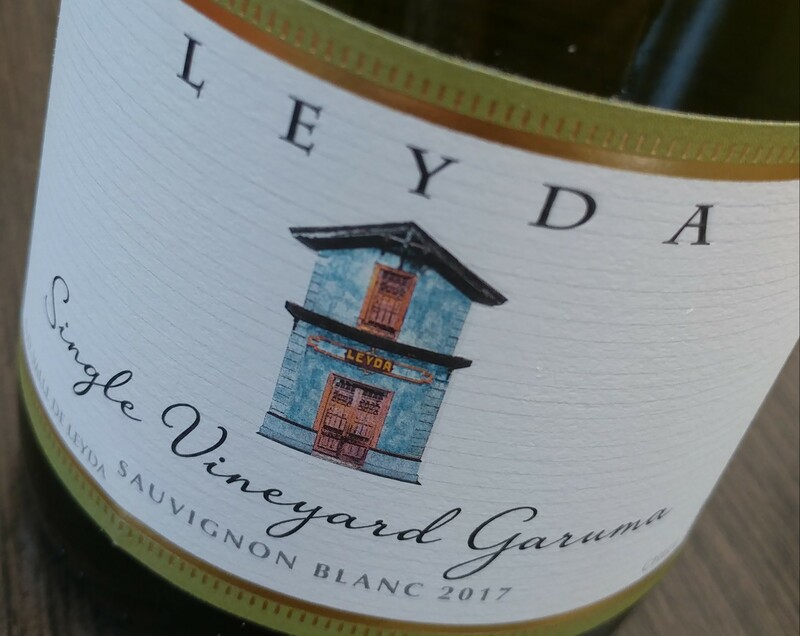 –2014 Sauvignon Blanc, Lot 4: Spicy with white pepper, stony minerality, white peach, rich body yet plenty of verve and an extremely long, elegant length. Made from a selected block of 3.7 acres (1.5 hectares) that faces East and so receives the morning sun. Clone 317, from Sancerre, is used – this clone does not exist anywhere else in Chile and it is known for its ability to age in the bottle. Also, they matched this clone to a plot that could produce an ageworthy wine with lots of concentration. 100% whole bunch press. 20% of this wine was fermented in 400 liters sized used barrels to build structure for the body and the rest, 80%, was fermented in stainless steel barrels. They are separated for 9 months for lees stirring (battonage) and then blended together after that time. 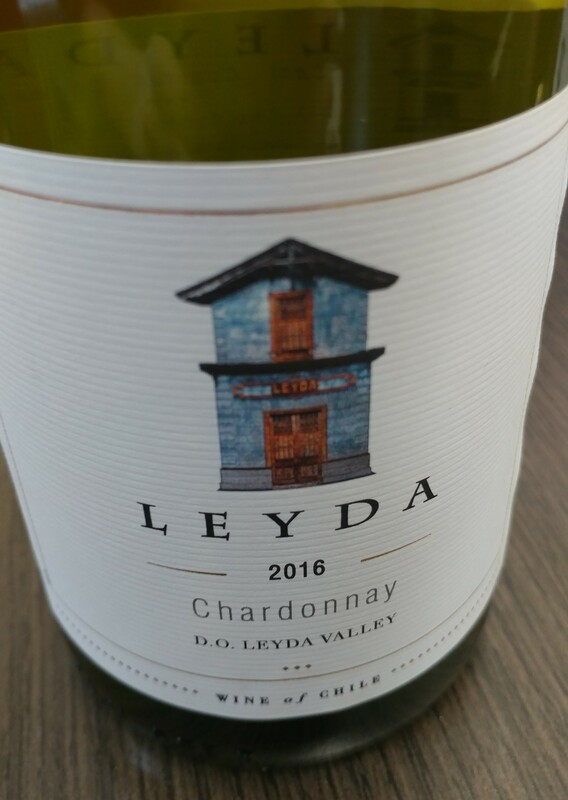 –2016 Classic Chardonnay: Orange blossom with juicy tangerine, broad body and zing on the finish. Viviana said she wanted an honest, pure expression of Chardonnay from Leyda with no oak and no MLF. They protect the clusters from sunburn with canopy management. Although Chardonnay is thought of as a neutral variety Viviana wanted to show the “nice face” of it with no oak and building a creamy texture with lees stirring giving a round texture but she was careful not to do too much so as to keep the vitality. 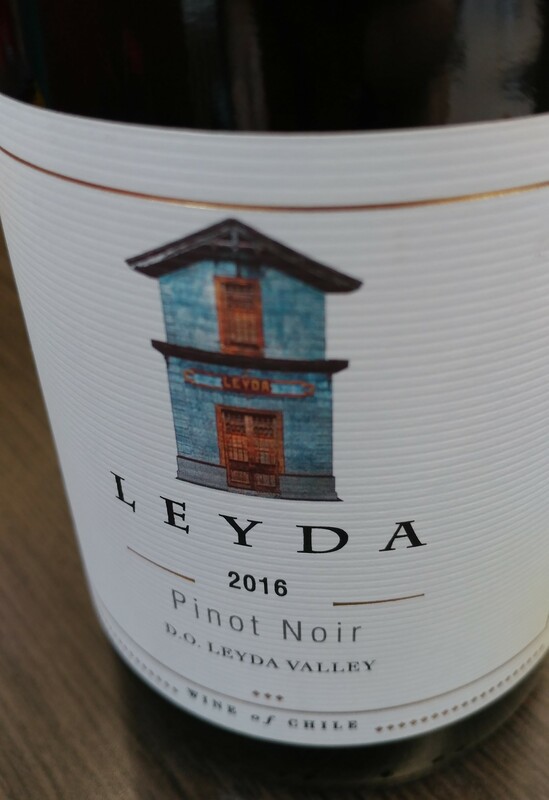 –2016 Leyda Rosé, Pinot Noir: Freshly picked raspberry with freshly cut flowers and a round body. This rosé was made from 3 different blocks using different clones. All of the grapes were whole cluster pressed, fermenting in 100% stainless steel at low temperatures. –2016 Classic Pinot Noir: A delectable mixture of smoke, sweet spice and wild lilies with a bright cherry finish. Fermented in closed vats with very little movement, aka pump overs, for less extraction. Only 20% age in used French barrels and rest in stainless steel. Viviana wanted the fruit to express itself with brightness and generosity on the palate. Clones selected: Clone 115 for more spicy and smoky notes with a nice entrance for the palate; Clone 777 for red berry fruit and very long and vibrant in the palate; Clone 9 for floral notes; Clone 16 for leafy notes and long in the palate. –2015 Pinot Noir, Single Vineyard Las Brisas: Intense minerality and stunning purity of fruit with a lovely perfume that wafted in one’s head for several minutes as the marked acidity in this wine created a mouthwatering finish. Called “Las Brisas” because it is near the ocean, facing South-West, and it is the last Pinot Noir that they harvest. Soil is mainly granite soil with iron and quartz, so they try to transmit those qualities within the wine. Strict selection of grapes, de-stemmed, everything placed in closed vats, little pump over (extraction), 30% in used French barrels and 70% stainless steel. 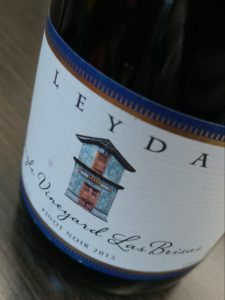 –2014 Pinot Noir, Lot 21: This wine had that addictive hint of truffles and forest floor that was exquisitely balanced by flavors of ripe strawberries and anise cookies with gingerbread spice that finished with a crumbly, chalky prolonged flavorful finish. Two small plots were chosen for Lot 21: One facing North with red clay on the top section and limestone on the lower section. The sections were fermented separately and punched down regularly; the second plot was granite dominant with iron and quartz which she fermented in a combination of closed vats and cement. The grape bunches had little berries and clusters from the French clones selected such as 82. 15% of whole bunch pressed, and the tanks were filled with alternating layers of whole berries and then whole clusters and so on and so on … sort of like lasagna. Natural yeasts were used for this wine to enhance the natural qualities. Aged in a combination of used French oak barrels, egg shaped concrete and 2000 liter casks. Only 5000 bottles made. This entry was posted in Uncategorized and tagged Chiilean Red Wine, Chile, Chilean White Wine, Chilean Wine, Leyda, Leyda Valley, Pedro Parra, Pinot Noir, Red Wine, Rose, Sauvignon Blanc, Terroir, Viña Leyda, Viviana Navarrete, White Wine, Wine, Wine Tasting, Winetasting, Women, Women in Wine, Women in Wine Leadership Symposium. Bookmark the permalink.